Oliver Wagner joined the Executive Boards of Eurowings GmbH and Eurowings Aviation GmbH in November 2015. In his role as Chief Commercial Officer he is responsible for Network and Fleet as well as Revenue Management, Sales, Marketing and Customer Experience. Oliver Wagner studied Industrial Engineering at the Karlsruhe Technical University. 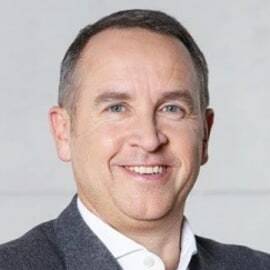 He began his professional career as a management consultant with Ernst & Young in Stuttgart, before joining Deutsche Lufthansa AG in 1995. He subsequently held various positions within the company, such as Director Miles & More and SVP Direct Services. In 2011 Oliver Wagner was appointed Member of the Board of Germanwings GmbH. In his role as Chief Operating Officer he set the basis for the successful launch of Eurowings. Mr. Oliver Wagner was born in Karlsruhe, Germany, in 1965.